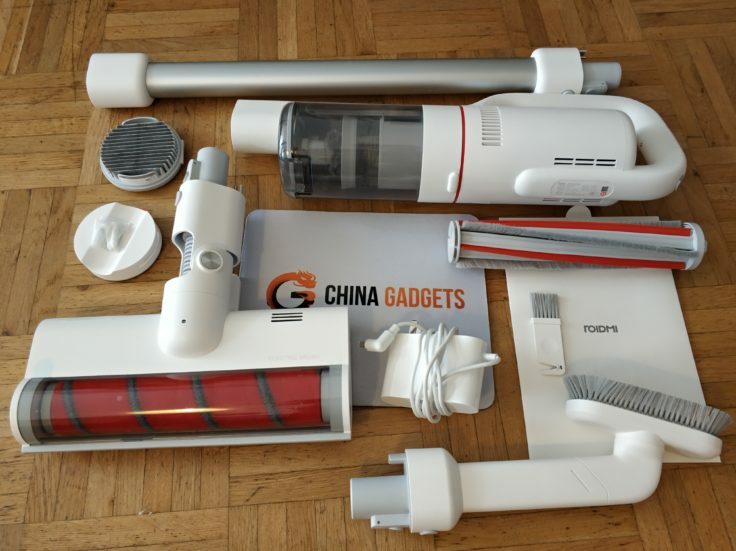 There are already some battery vacuum cleaners from China, which the Roidmi F8 should leave far behind in comparison. Without anticipating the test results too much: This model not only matches the Dibea models, but clearly Dyson and other top manufacturers. 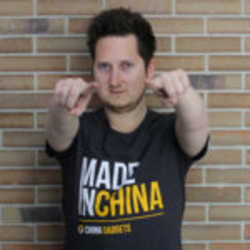 We have thoroughly tested the competition from China. 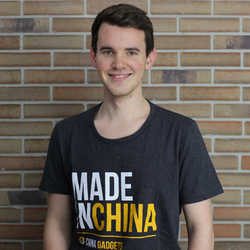 Responsible for the production of the wireless battery vacuum cleaner is Roidmi, one of the many financed companies of the Chinese tech giant Xiaomi. The Roidmi F8’s scope of delivery is ample, here you will find everything you need. The fact that the manual is only included in Chinese is due to the fact that sales outside China have not yet started completely. 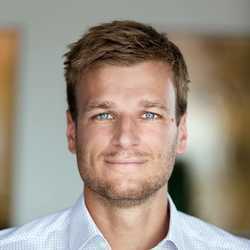 Of course, we wanted to secure a test model as soon as possible and have already taken action. 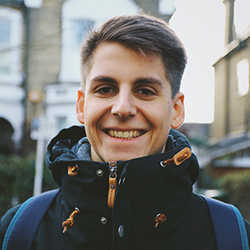 Apart from the difference mentioned above, however, there will probably be no differences in any “international version”. 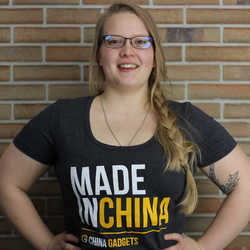 Many jokes are certainly made about the iF Design Award in the employee area at Xiaomi, after all, every product felt by the Chinese designers receives the award. Whatever you think of the price, the Roidmi F8 is a real eye-catcher when it comes to design. The materials used here are metal and high-quality plastic. 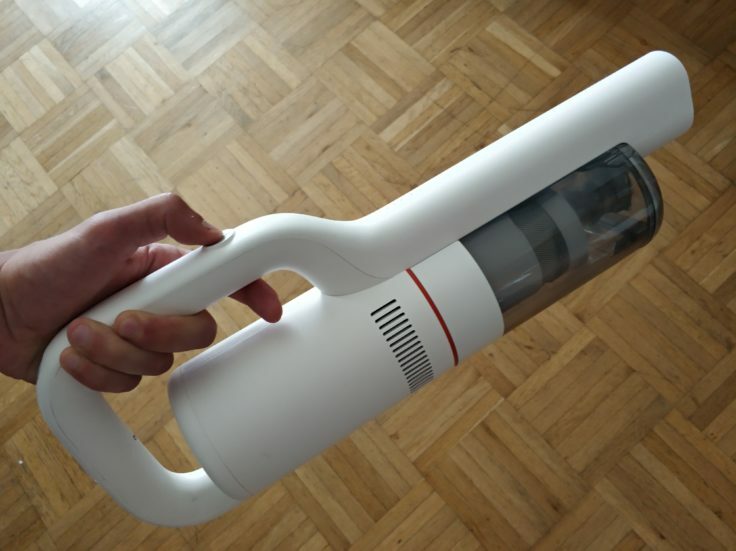 The first use of the vacuum cleaner showed two things: The F8 weighs 2.5 kg (hand vacuum cleaner weighs 1.5 kg), which is perhaps one of the cuts you have to make because of the metal vacuum cleaner tube. And: When using the vacuum cleaner over the floor, it’s like walking with a dog whose owner doesn’t run fast enough. It looks as if the vacuum cleaner can work on its own or is motorised, it literally drags its user behind it. The vacuum cleaner is made of metal and high-quality plastic. Below the built-in brush and hood there is LED lighting. Not only does this look pretty cool, it also helps to be able to vacuum better in darker corners – such as under the car seat. However, this only lights up when the vacuum cleaner perceives darkness around it – works perfectly and is technically ingenious. 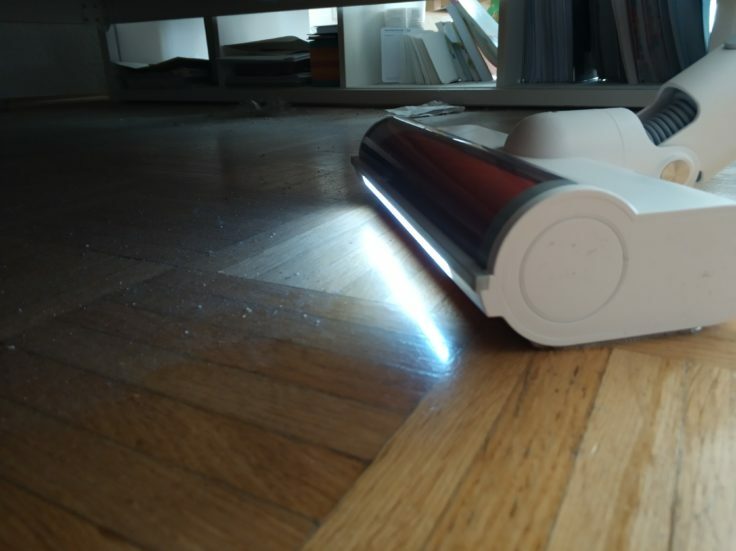 The LEDs at the floor nozzle allow dirt to be detected even in darker corners. The F8 only turns on the lights in a dark environment. As with the Dibea models, all individual parts can be assembled very quickly and easily. 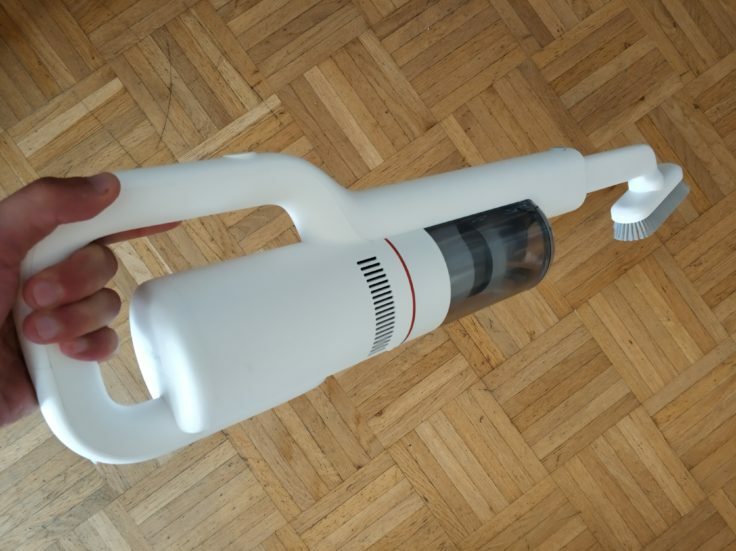 Switching from battery vacuum cleaner to hand-held vacuum cleaner also works perfectly. In total, all assembled parts measure 119.1 x 25.9 x 15.8 cm, which corresponds to the average size of a battery vacuum cleaner. All individual parts can be assembled and disassembled very easily with a “click lock”. 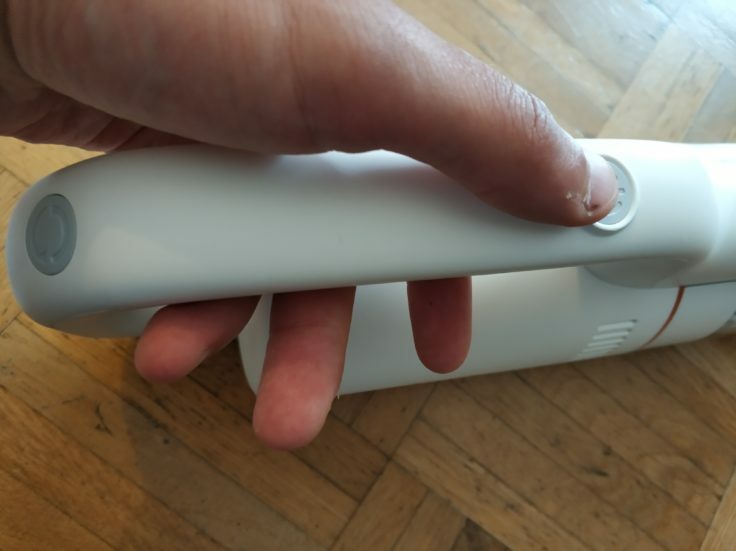 The F8 has no handle directly on the inlet pipe, only the handle on top of the hand-held vacuum cleaner. However, because the vacuum cleaner literally drags its owner behind it and the suction power (especially on the second suction stage) is very high, no further pressure must be exerted on the inlet pipe to achieve good cleaning results. Accordingly, no additional handle is required here. The Roidmi can be operated perfectly via the handle. Of course, the only thing that matters with a battery vacuum cleaner is that the house is sparkly clean after vacuuming. 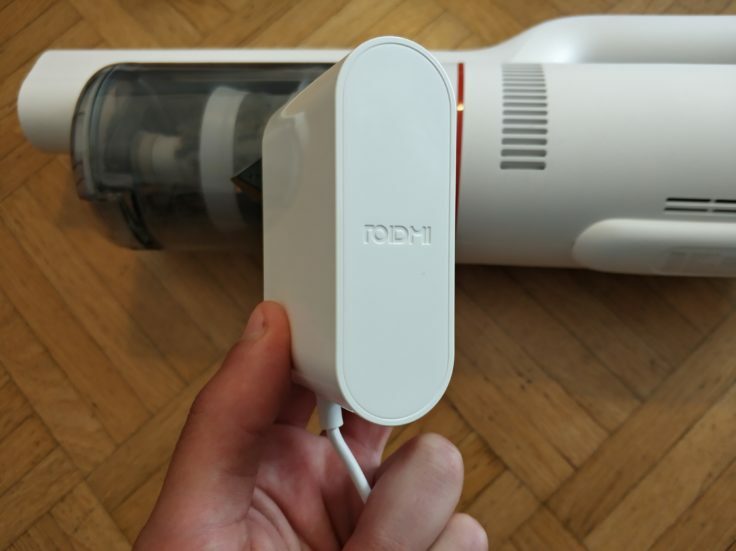 But if you spend about $300 on a vacuum cleaner, you will enjoy not only the stylish design but also the small details that Roidmi has placed here. This can be a stamped Roidmi logo on the charging cable, but can also be tiny LED lights (nozzle lights) on the hand vacuum cleaner, which show you the battery status (1-4 lights) and a full dust chamber. The LED display shows whether the dust chamber is full and how much battery power is still available. Of course, you can only read a guideline value for the battery from four illuminated LEDs, but it is always practical and stylish. More details can be found in the app, more about this later. The entire floor nozzle (with which one goes over the floor) comes on a width of 26 cm, the intake hood only on a width of 8 cm. However, since the high suction power of 185000 pa makes everything run through the hood very quickly, the size of this plays a subordinate role. The entire floor nozzle is 26 cm wide, the feed hood is 8 cm wide. To sum up: The appearance of the F8 is also worthy of other design awards and the workmanship is just as top. This makes the use even more fun and also prevents the vacuum from hiding in the storage room. 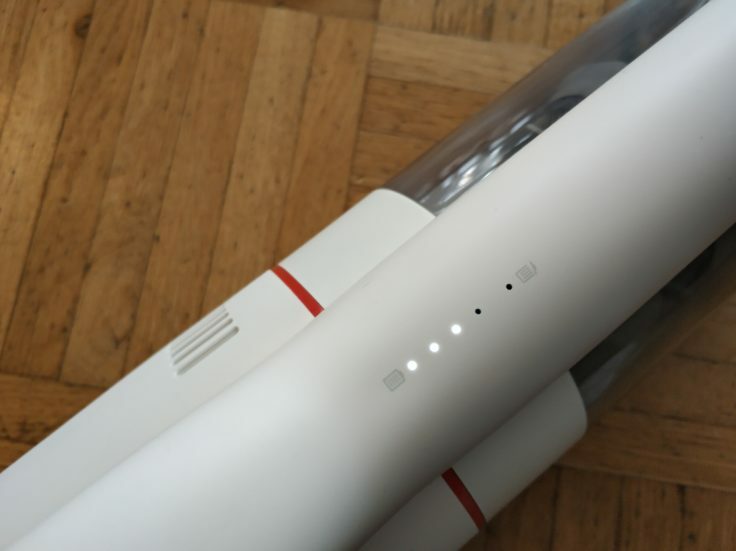 After a charging time of only 2.5 hours, the vacuum cleaner with its 2500 mAh lithium battery is ready to use for 55 minutes. 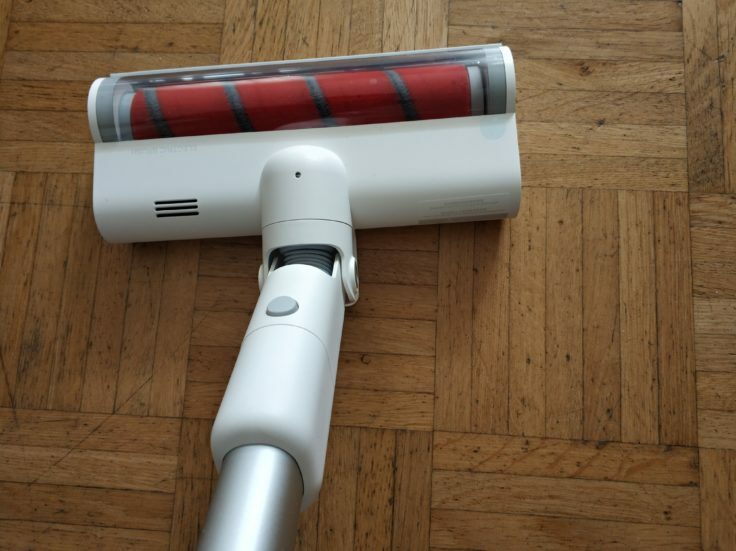 This sounds like really strong values at first (which it is in itself), but be careful: although a normal battery vacuum cleaner takes just under 5 hours to recharge and then works for about half an hour, the two different suction levels must be observed. This control element is used to switch the vacuum cleaner on and regulate the two suction stages. For example, the stated 55 minutes apply when using the lower suction level, but at the higher level you only get a maximum working time of 10 minutes. Roidmi advertises that a 350 m² surface could be cleaned with one battery charge – but only at the low suction level. But even with this you still have enough suction power to get the floor clean in your four walls. After 2.5 h charging time the battery vacuum cleaner is ready for use. 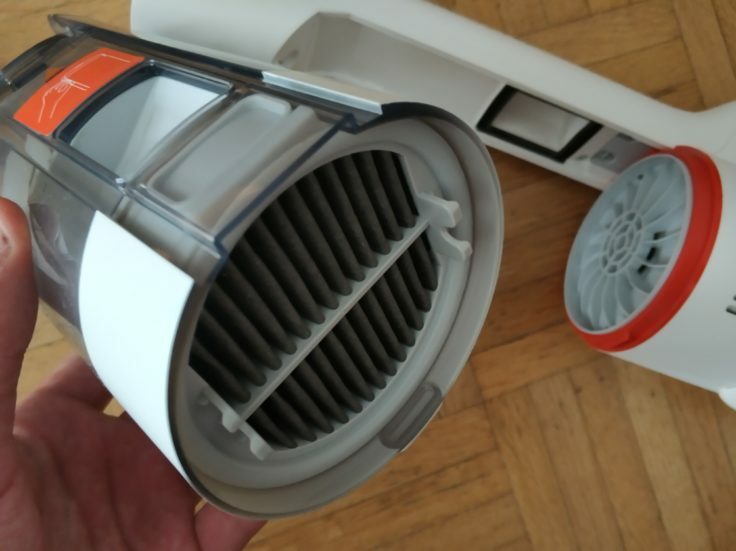 What I personally had been looking forward to very much: The vacuum cleaner comes with the supplied wall bracket, so that you don’t have to put it in the storage room, but can also present it in a fancy way. In addition, it does not get in the way and the battery can be charged during this time. So the theory. However, the small screws and holder included in the scope of delivery are not able to hold the hand-held vacuum cleaner. I will work on this a little bit to find a good solution, but it is a pity. Simply hang the battery vacuum cleaner on the wall and charge the battery – so the theory. The missing adapter for the charging cable in the scope of supply is however not a big deficiency in my eyes, finally there are the adapters for few dollar. As it is always an important point : The battery of the F8 cannot be replaced. What is the most important thing in evaluating a vacuum cleaner? Right, how much suction he brings along. A normal battery vacuum cleaner is about 7000 pa, the Roidmi F8 has 18500 pa suction power (!). A strong value that is logically also reflected in the operating volume of 75 dB. Especially at the second suction stage it is not possible to understand much around you in operation, other people in the room can also not continue to watch TV without problems. These are the sacrifices that have to be made in favour of high suction power. This suction power is noticeable both on hard floors and when cleaning carpets. The F8 is definitely good to use on carpets. With lint, dust or even dog hair, the vacuum cleaner can be used both as a hand vacuum cleaner and completely removed. Cleaning on hard floor is really fun due to the “speed of the vacuum cleaner” already described. With the floor nozzle at the front you glide over the floor. Of course, the vacuum doesn’t accelerate on its own, but just a minimal push will get you going – and you won’t feel like you’re doing any housework at all. It’s a little curling or bowling. Practically, the scope of delivery includes various attachments, each of which is suitable for a different substrate. 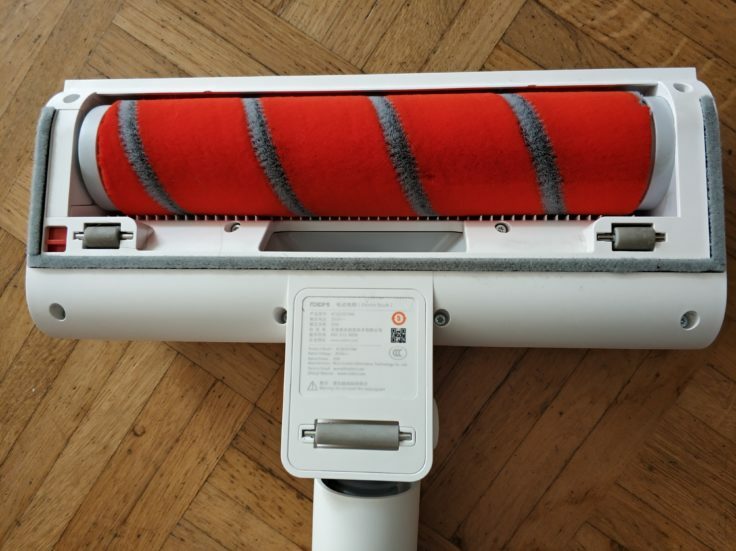 The roller is ideally used for the hard floor, the brush can also be used for carpets. The attachment with several brushes and its own small suction opening is well suited for mats and sofa hems, but also for carpets. In the long term, the latter will mainly be attached to the hand-held vacuum cleaner. Hard floors, carpets or both: with three different attachments you can cope with any surface. However, the 0.4 l small dust container is no great help. If there is a little more dust and dirt in the apartment or if you simply have large rooms, you often have to empty the dust chamber. Of course, this also depends on the intensity of use, but it is already annoying. However, this is a general problem of battery vacuum cleaners, as you don’t want to carry around an oversized dust chamber while vacuuming. The composition of the dust chamber is allergy-friendly and easy to dismantle. The HEPA filter can be easily washed out or alternatively cleaned with the small brush supplied. The individual parts of the dust chamber can be easily disassembled and reassembled. The 0.4 l small dust chamber is easy to remove, but due to its size it must often be emptied. 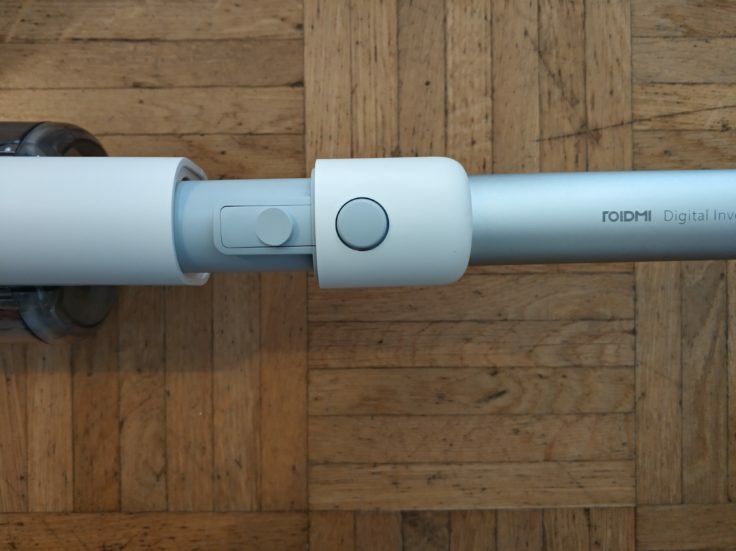 As mentioned above, the Roidmi F8 can be connected to the hand-held vacuum cleaner via the individual closures. 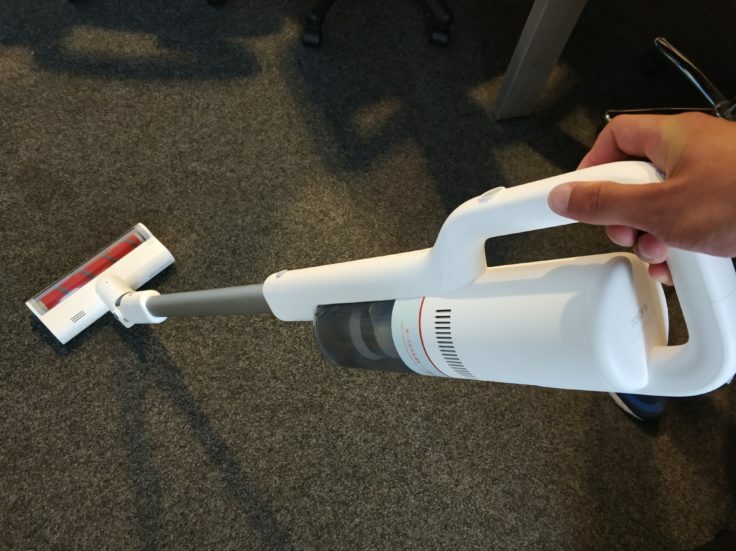 The hand vacuum cleaner makes it easier to vacuum the car and corners, even if you want to remove something quickly, the hand vacuum cleaner is practical. 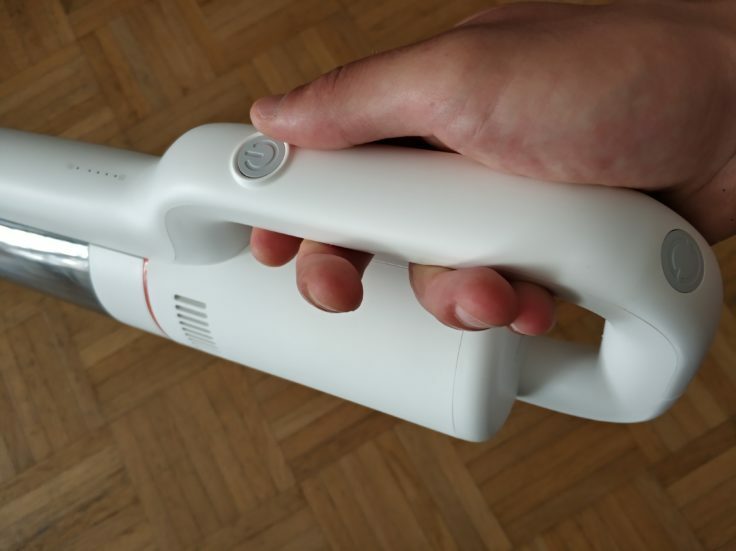 Of course, this is no longer a new invention; almost every device now comes with an integrated hand-held vacuum cleaner. But you still want him with you. The Roidmi F8 also makes a very good figure as a hand vacuum cleaner. 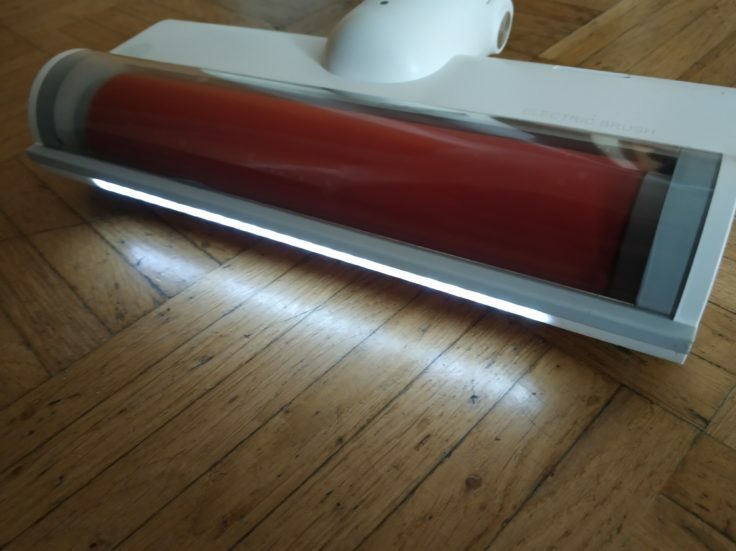 Too much cannot be added to the hand-held vacuum cleaner compared to the removed vacuum cleaner, only this much: LEDs would also have been nice with the hand-held vacuum cleaner, since you often want to give evidence of dark corners, especially in the car. That is of course complaining at a very high level. Otherwise an absolutely solid hand-held vacuum cleaner with high suction power. Integration in the Mi Home App: Why? 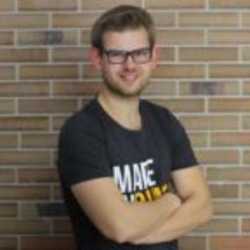 With vacuum robots, the App integration makes sense due to the mapping or missing remote control. But what is the point of a battery vacuum cleaner? Let’s start with the registration in the Mi Home App (Android, iOS). 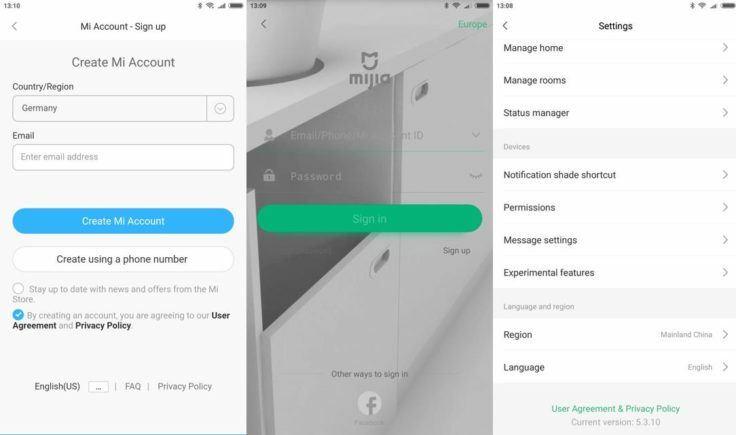 Many of you will already have an account here, after all any halfway smart product from the Xiaomi universe can be controlled by it. 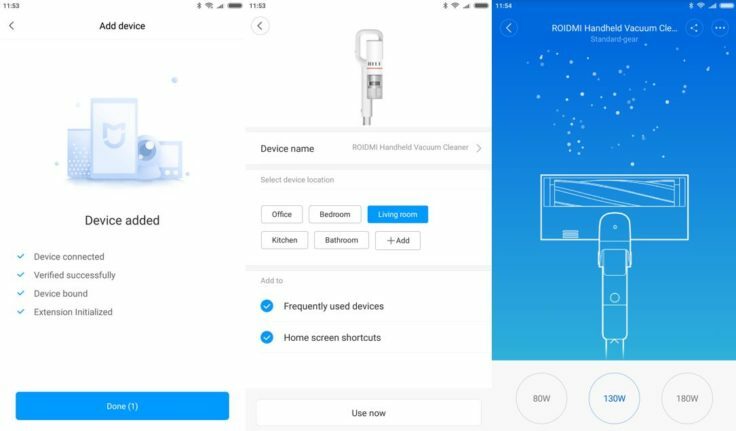 Roidmi also has its own app (Android, iOS), but this should be identical in content to the operation via the Mi Home App, but the connection should be even more complicated. 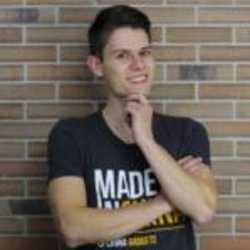 Accordingly, I recommend the proven Mi Home App. If you are not yet registered, you have to enter a password and your e-mail address after downloading the app. Of course, a disposable/spam address can also be used here; you no longer need the e-mail address for further use. The registration is self-explanatory, as the mainland to be selected, “China” is currently still recommended. 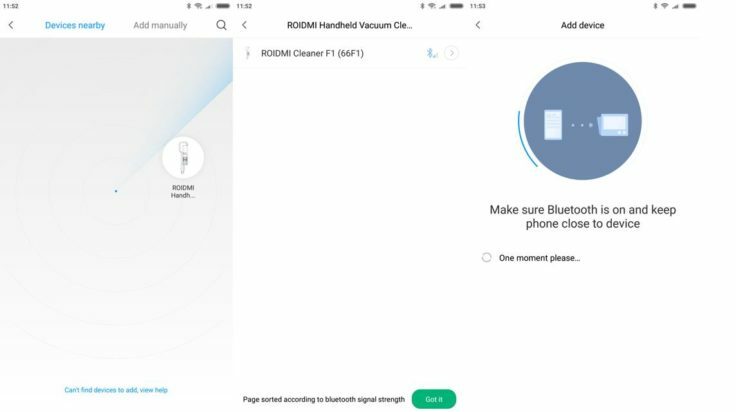 To connect the battery vacuum cleaner to the app, the Bluetooth must be switched on on both the smartphone and the vacuum cleaner itself. On the Roidmi you have to press the two controls on the handle of the vacuum cleaner at the same time until the light under the dustbin symbol lights up blue. Then the teat is ready for pairing. The two controls must be pressed simultaneously to activate the Bluetooth signal on the Roidmi. 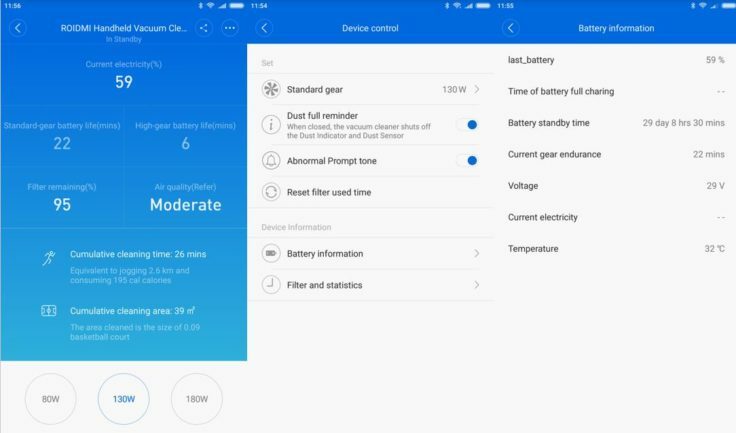 If the Bluetooth is switched on and the Mi Home App is started, go to “Add Device” (plus symbol in the upper right corner of the start screen of the app) as you are used to with other gadgets. The app then searches for devices in the area and promptly finds the Roidmi F8. If Bluetooth is activated on the smartphone and suction cup, the app also finds the F8 very quickly. Once the vacuum cleaner is added to the app, you can create a homescreen shortcut (an app icon, so to speak) for the smartphone screen and set the area where the vacuum cleaner works. 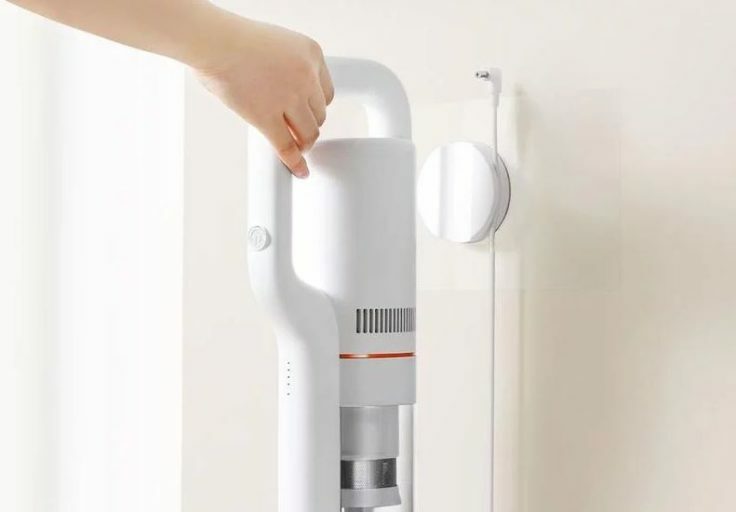 The former is practical because you can access the teat so quickly with one finger movement, the latter you do not need or only with many Xiaomi gadgets in the house. The app offers a choice of three different suction levels (screenshot far right). Once this step is completed, you can already see the main user interface: A graphical representation of the Roidmi F8 and three buttons below with the possibility to choose between 80, 130 and 180 watts. Thus you have one selectable suction level more in the app than in the analog operation. Battery level still makes sense, but calories burned?! Not all functions are really needed. The app integration is a big mystery to me personally. Of course it’s convenient to read the battery level, but hey, it’s a battery vacuum cleaner. As long as it can’t work on its own, I don’t need any app control. After all, a battery vacuum cleaner works by picking it up, turning it on and off I go. Since firmware updates for the Roidmi F8 are possible, I hope for more useful features here. What’s to stop me from unconditionally recommending the battery vacuum cleaner to you? The price. Over $300 is a powerful announcement, but you get one of the strongest vacuum cleaners currently available on the market. The very high suction power paired with the stylish design and the high-quality workmanship make the Roidmi F8 an absolute top model. However, one must ask oneself whether dust control justifies this price. But if you look around for various products, you quickly notice that you can spend twice as much on similar models. If you want to invest the money, the Roidmi F8 definitely does everything right. 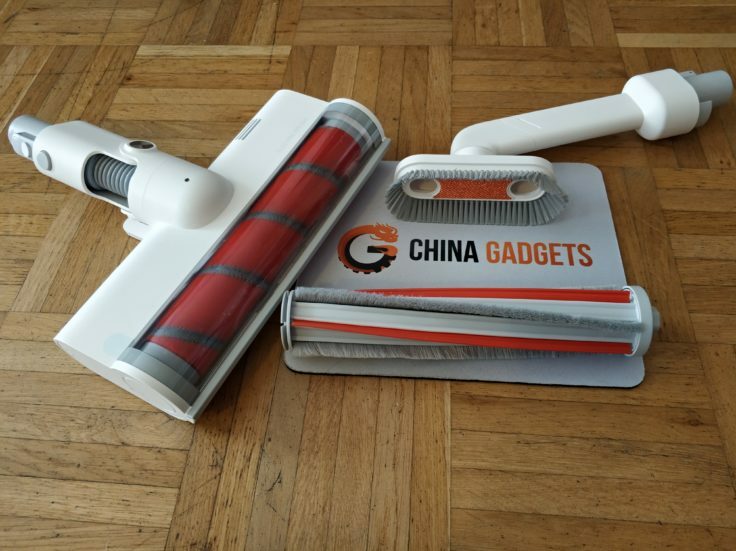 I'm interested in Gadgets, that make our life at home easier - especially when it comes to cleaning the floor or the windows. I was able to test about fifty robot vacuum cleaners since now.